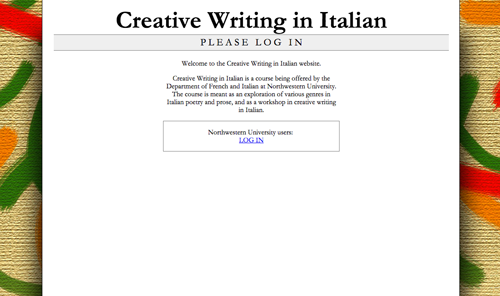 Italian Professor Paola Morgavi approached the MMLC seeking to find a better way to organize and share student writing in the context of an Italian creative writing class. Wishing for a modern, elegant and paperless method, the MMLC created, with design input from Hewlett-funded Summer Intern Tom Giratikanon, an end-to-end electronic document management system that allows students to compose rich text, to receive feedback and corrections on document revisions. Final versions can be posted to a shared archive space where they can be consulted by future classes.